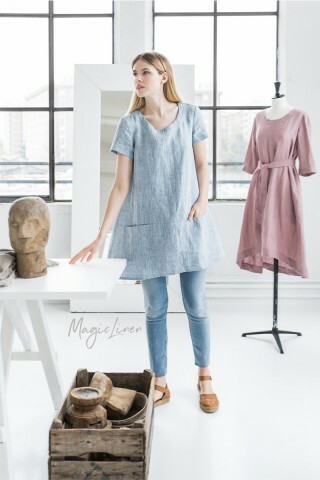 Oversized linen blazer available in all MagicLinen clothing colors and our newest addition - cinnamon. Designed to have an oversized fit, this blazer has long sleeves and two roomy side pockets. Soft, lightweight, and breathable, it is a perfect addition to your Fall wardrobe.